Any chance or news that WK will release an Enterprise Upgrade or Enterprise-A expansion? If so, would it be possible to make this expansion more in-scale with the other starships? I don't mind it being smaller than the Enterprise-D, but it should be at least as large as Reliant/D-7. So many ships.... I want them all! No question, they'll surely put out an Enterprise-A. Probably with a new version of Kirk, maybe Spock as a Captain? I'd love to see people like Saavik and Carol Marcus as crew. 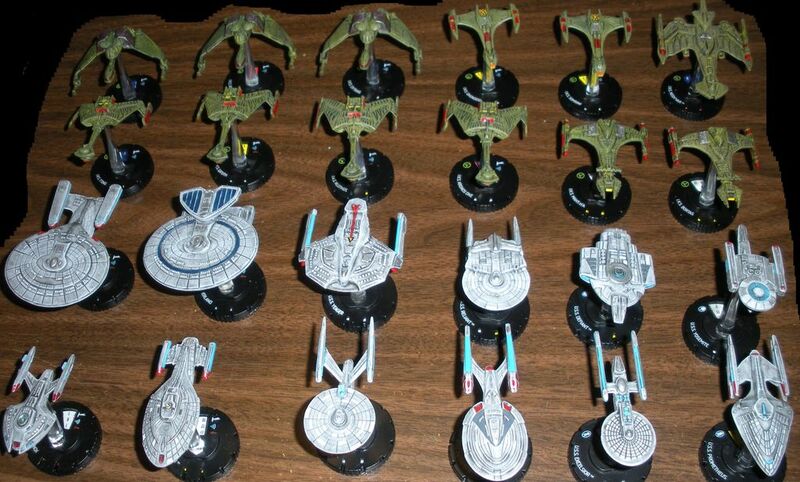 I agree WizKids should release the refit / A version of the Enterprise. Hopefully with updated crew (love those movie uniforms) and revised abilities- it would be fun to see how the ship and crew matures, and to have a proper, movie-era battle with the Reliant! With a nicely scaled and detailed model already on tap, and with Wizkids already releasing revised and updated versions of ships (D7 --> K'tinga Kronos One), I can't see how they would fail to pass up this opportunity.